You got to love Nintendo’s way of selling you more Nintendo DS consoles. It’s no wonder why the DS became the best selling portable console. 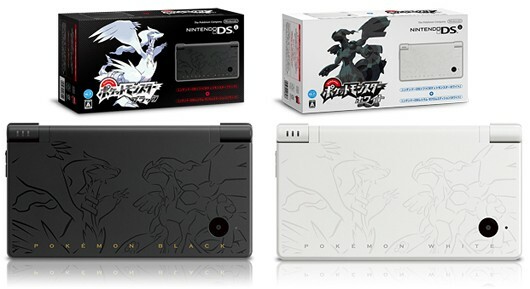 In celebration of their twin smash hits Pokemon Black and Pokemon White on the DSi, Nintendo has announced that both games are getting their own respective DSi bundles. In Japan at least. These limited edition consoles are due for Japanese store shelves on November 20 for just 19,800 yen (USD $241 or Php 10,500). Both Pokemon Black and Pokemon White have remained at the top of the Japanese sales charts since release and could cross the four million mark over the next couple of weeks.